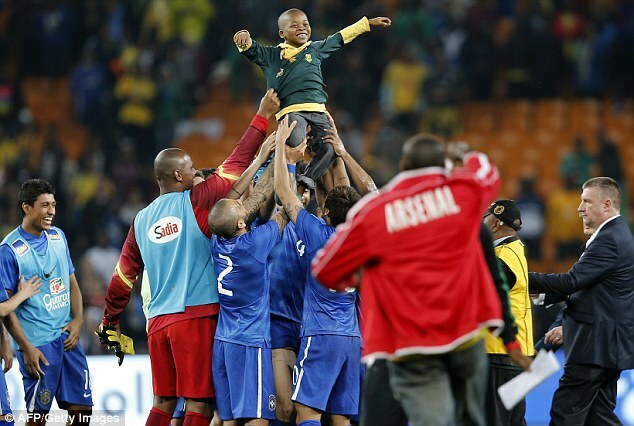 After watching Brazil dismantle his team in Soweto, one young South Africa supporter felt the need to get up close to the visiting players. 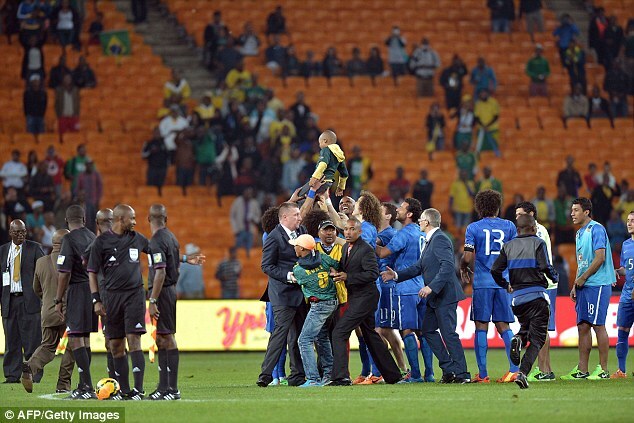 But rather than tackle the interloper to the ground, the South American superstars had other ideas. 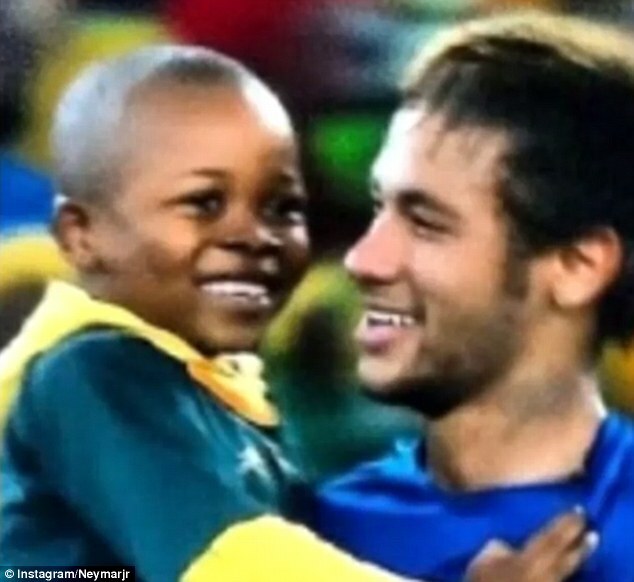 The young boy posed for pictures with world-renowned Barcelona forward Neymar before being hoisted up by the Brazilians in a heartwarming display. 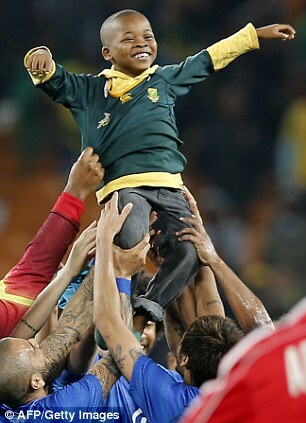 The South African boy is the picture of pride as David Luiz, Neymar, Dani Alves and Fred joyously lift him above their heads. 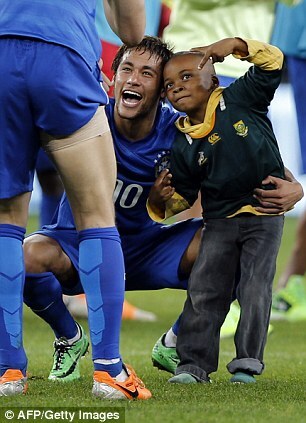 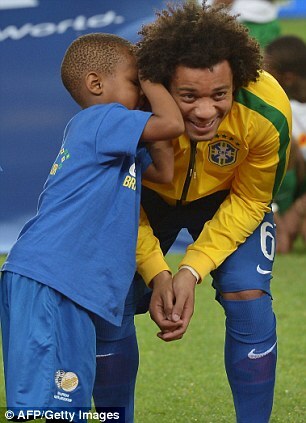 The lad may look happy, but the Brazil stars appear to be having a whale of a time as they make the dreams of the young supporter come true. 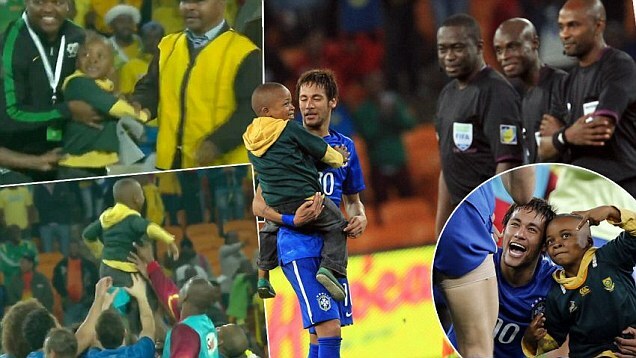 Neymar and Co weren’t so kind when they faced South Africa on the pitch. 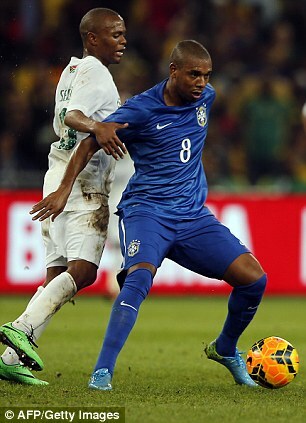 The poster boy of the summer’s World Cup netted a hat-trick for the tournament’s hosts as Chelsea playmaker Oscar and Fernandinho, of Manchester City, completed the rout.